17.45: Back to junk for swimming or relaxation. 15.30: Cruise to Van Gio area for fishing with locals. 08.00: Enjoy the morning on the bay while having breakfast. 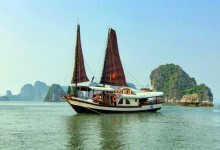 Start cruising to Vung Vieng fishing village. 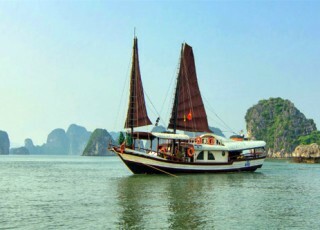 09.15: Visit Vung Vieng fishing village by rowing boat. Fish with the local people and learn about local fishing techniques. 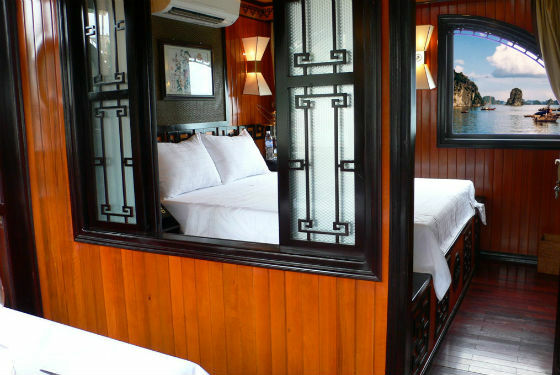 10.30: Cruise back to Thien Canh Son Cave to swim, kayak and visit the cave. 11.45 : Back to the boat. 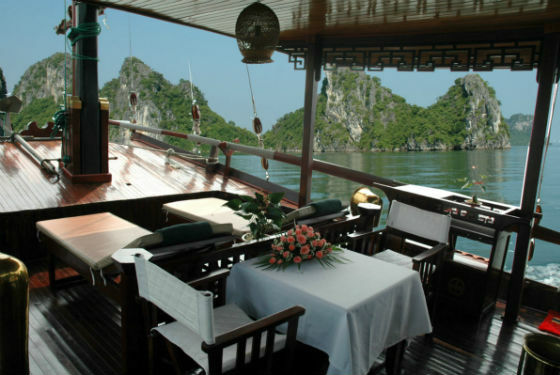 And have Lunch on Boat. 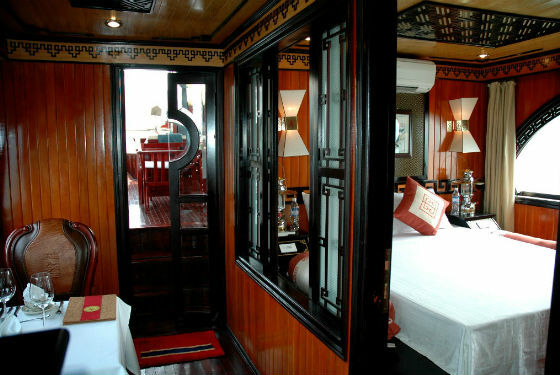 15.00: Cruise and discover the Cong Do area, Hang Thay Cave then back to Hai Quan area. 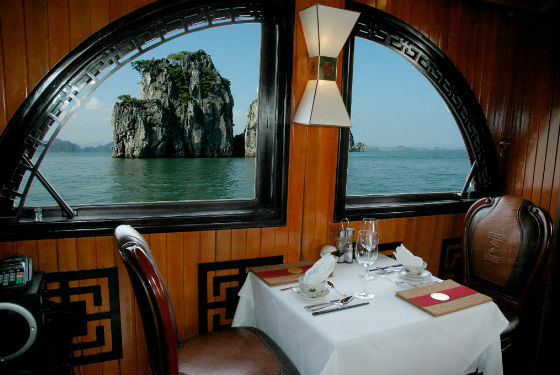 16.30: Attending making Vietnamese summer roll or carving fruits and vegetables with chefs on board. 17.30: Relax and swimming in Cap La. 19.00: Having dinner and stay overnight onboard. 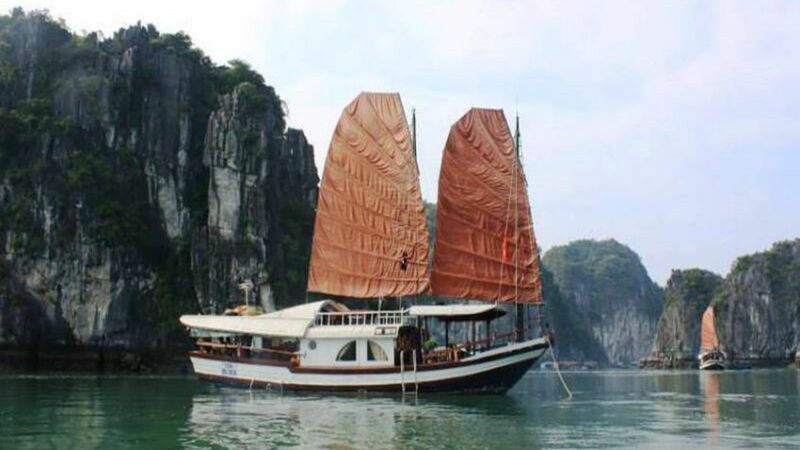 08.00: Enjoy the morning on the bay while having breakfast. 09.00: Cruising back to the harbor. 11.45: Disembark. Drive to Yen Duc village in Dong Trieu province.